Spurs' new stadium: Is a two-hour train journey worth it? Spurs’ new stadium: Is a two-hour train journey worth it? When the announcement of the first game was revealed I was straight onto Trainline to see if going home, just for the evening, was going to work. It was an event I really did not want to miss. I was so excited that August 2018 would be the time I would get to see the amazing new stadium. From the moment I found out that the stadium was being revamped I was eager to know what it would look like when it was done. Once the issues and delays of the stadium were revealed, I started to wonder just how long it would take for it to actually open. 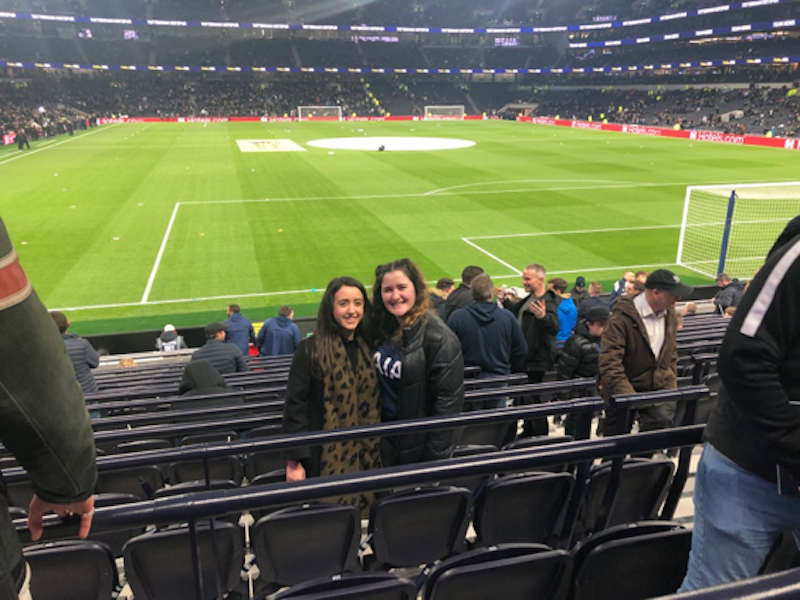 I have had a season ticket at Tottenham Hotspur for nearly 15 years and it has meant that football has pretty much taken over my life. My love of football came from my dad. From the age of four I’ve played and watched which has taken up lots of time and money, but I love it. I may have been forced into it, but I couldn’t thank my dad enough. As an avid Tottenham fan myself, I have been eager to see what the stadium and the atmosphere would bring to matches. It definitely didn’t disappoint. My dad, sister and I wanted to ensure we were in seats with the most atmosphere. The total capacity of the ground is 62,062, the largest capacity club football stadium in London. It features a single-tiered stand of 17,500 fans which is where I’m lucky enough to have my season ticket. Something I immediately noticed as I took my seat was how close all the fans get to be to the pitch. The front row is only five metres from the pitch and the sound from the South stand echoes across the whole stadium. Standing up for the whole match proved just how excited we all were and created an electric atmosphere. The opening ceremony consisted of singing, waving flags and memories being made that I don’t think any fan could ever forget. Travelling back from university for the evening, just to see the match, I was really debating whether the two-hour journey would be worth it. As a Tottenham fan, I’ll be the first to admit we’ve had disappointment after disappointment so I didn’t know if the event would be a bit of an anti-climax but it was far from it. Even the bars and food places were amazing. The unique microbrewery makes it feel like you aren’t just in a football stadium but in a place where all the hard work, time and money has paid off and given something that the fans can be proud of. My dad has gone so far as to describe it as his “favourite place in the world.” He may have had a few beers, but I can truly see why him, and a lot of other life-long fans would think this. To end the night with a 2-0 win made me even more pleased that I had made the journey home for the game. There will never be a night like it and it will definitely be one I never forget.